S Saraswathi gives us the latest updates from the Tamil film industry. 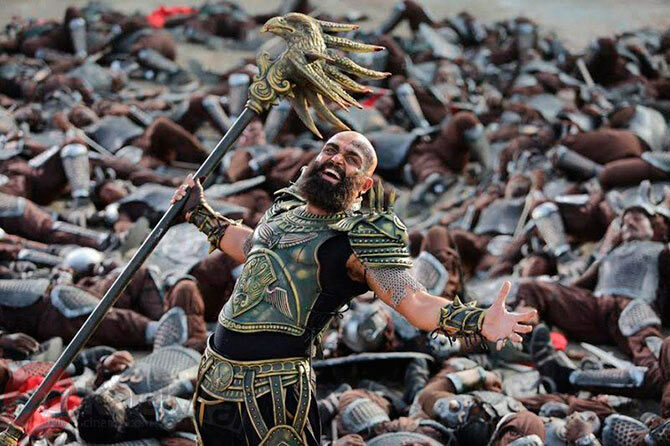 The first look poster of Kashmora was released earlier this week and Karthi's stunning avatar as a bald manic warrior seems to have piqued the interest of moviegoers. The actor is reported to be essaying a triple role in this dark fantasy film directed by Gokul of Idharkuthane Aasaipattai Balakumara fame. Santhosh Narayanan composes the music and the film is being bankrolled by Dream Warrior Pictures. Nayanthara and Sri Divya play the female lead supported by Vivek and Siddharth Vipin. The film, along with its dubbed Telugu and Malayalam versions, release on October 28. 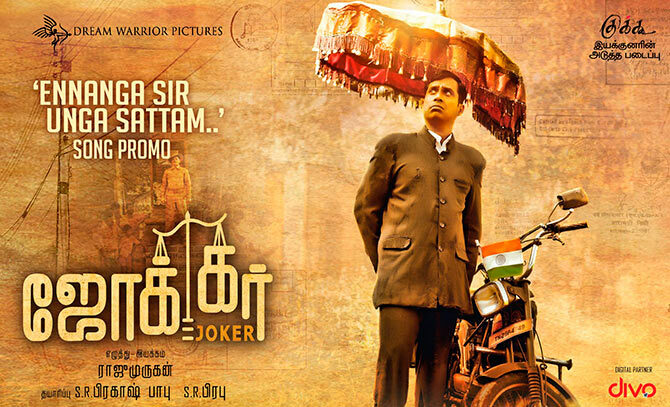 Director Raju Murugan, who made a brilliant debut with 2014's romantic drama Cuckoo, is back with a political satire titled Joker. The film, starring Guru Somasundaram and newcomers Ramya Pandian and Gayathri Krishnaa, opened to rave reviews. Several film celebrities gave it a thumbs up as well. 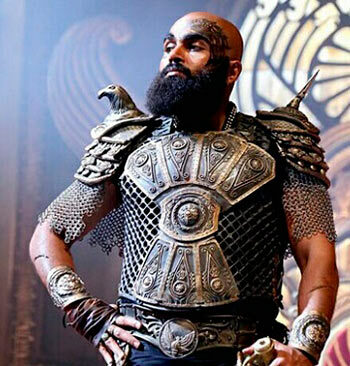 Made at a modest budget of Rs 3 crore, the makers were in for a pleasant surprise when none other than Rajinikanth praised the film. The actor, who is not very active on social media, took to Twitter to congratulate the team. 'I applaud the team of #joker, brilliant film!' he wrote. Vijay Sethupathi is a roll. 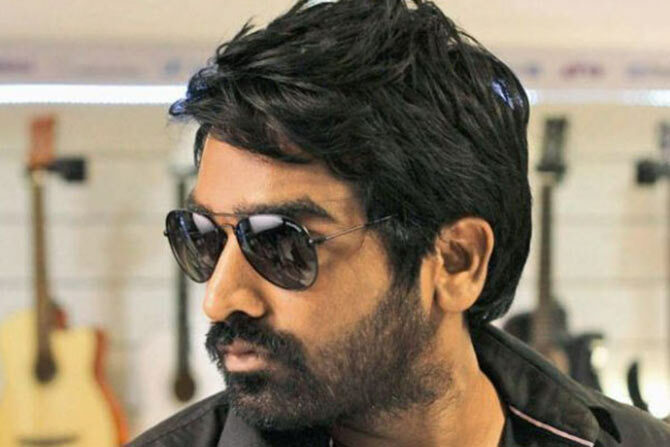 The actor, who rose to fame after the spectacular success of Soodhu Kavvum in 2013 has had three big releases this year already -- Sethupathi, Kadhalum Kadandhu Pogum and Iraivi. This week sees the release of Dharma Durai, his third collaboration with National award-winning director Seenu Ramasamy. Also in the cards are Rekka opposite Lakshmi Menon and Aandavan Kattalai directed by Kaaka Muttai fame M Manikandan. Both films are scheduled to release later this year. The actor is also reported to have signed Vetrimaaran's ambitious project Vada Chennai, starring Dhanush. Things sure seem to be looking up for this brilliant actor, who struggled for nearly eight years in insignificant roles before getting the recognition he deserved in Karthik Subbaraj's Pizza in 2012.